The mayor of Rio de Janeiro, Eduardo Paes, welcomes this Thursday, March 17, the mayor of San Francisco, Edwin Lee, for the opening panel of Casa Rio, the most extensive business development program ever conducted in Brazil. 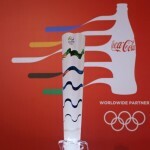 The event will have as its theme “The impact of major sporting events in long term goals for cities and companies” and will have the participation of executives from companies sponsoring the 2016 Rio Olympic Games. For six months there will be conferences, business rounds and presentations on investment opportunities in the city, adding up to 40 high quality events. 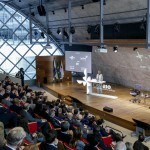 Casa Rio will have its conferences scheduled from March to September, at Museu do Amanhã, already an icon of the city. The focus of the conferences will be themes related to energy, hospitality, life sciences, infrastructure, technology, financial services and creative industry, areas in which there has been interest from investors who came to Rio in the past year.